If you’ve found this page then the chances are you’re interested in hearing more about how we do our bit for the planet. Maybe you’re curious to find out why we call ourselves Eco Warriors and you really care about how you spend your dollar. 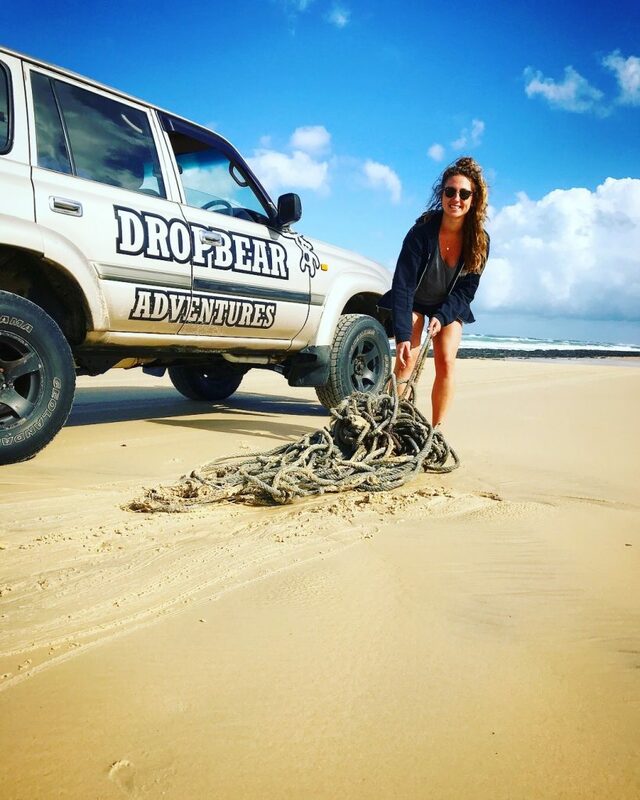 So how do you know that you are booking a truly eco and authentic experience when you book a 4WD adventure to Fraser Island with team Drop Bear? To tell you the truth we’ve been beginning to wonder whether being ‘eco’ is just the latest marketing ploy for businesses. Sadly it seems that all too often companies claims of being ‘green’ are just fairy dust and rainbows. If you’re anything like us nothing irritates you more than when you book an “eco friendly” travel experience only to be given disposable plastic cutlery, cups and plates to eat/drink lunch with. It drives us CRAZY and to think that this is such a basic commitment to make when going green! 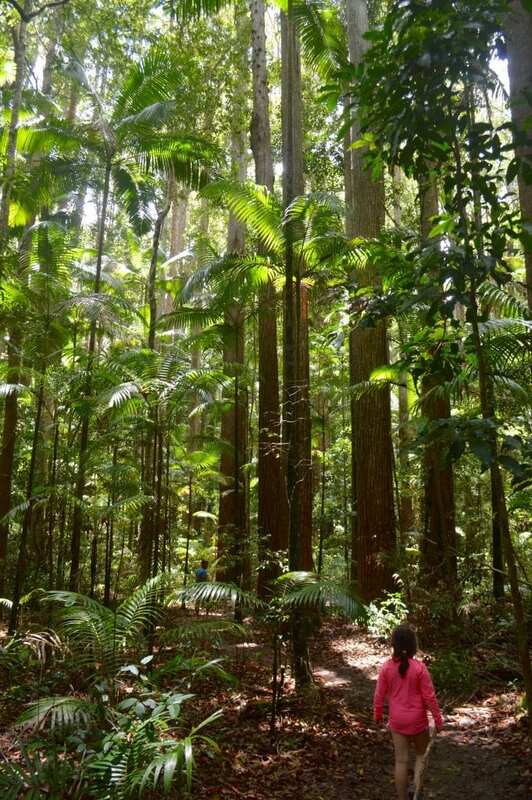 Here at Drop Bear Adventures we are super proud to say that every aspect of our tours have been designed to not only provide our guests with an incredible adventure but also to be as environmentally sustainable as we can possibly achieve at present. Now, by no means are we saying that our gas guzzling 4WD business is environmentally friendly, we’re not complete idiots, but what are saying is that we take our Corporate Social Responsibility very seriously and we are always striving to better our business procedures to lower the impact that our adventure company has on the environment. 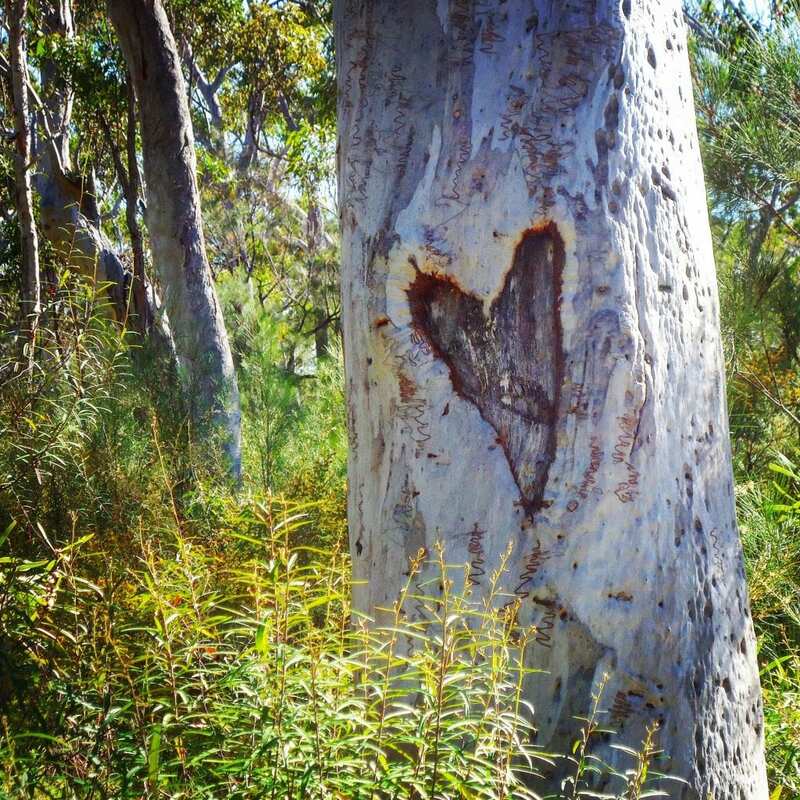 We are acutely aware that the decisions we make every day as Mumma and Poppa Bear, and as a team of individuals have an impact on our planet and the quality of life that its sustains for all life. Conscious Consuming is a social movement that’s core principle is to raise awareness of the power we have as a consumer. The purchasing decisions we make effect our environment, economy and the health of our communities. Everything we buy; from the food we eat, the water we drink, the fashion we wear, the transport we use and the luxury items we choose… it all has a huge impact on the world we live in TODAY! Drop Bear Adventures joins forces with Khory Hancock, aka The Environmental Cowboy to talk about the island’s ancient rainforests, endless sand dunes and pristine creeks. As well as sharing our passion to keep this beautiful place clean. 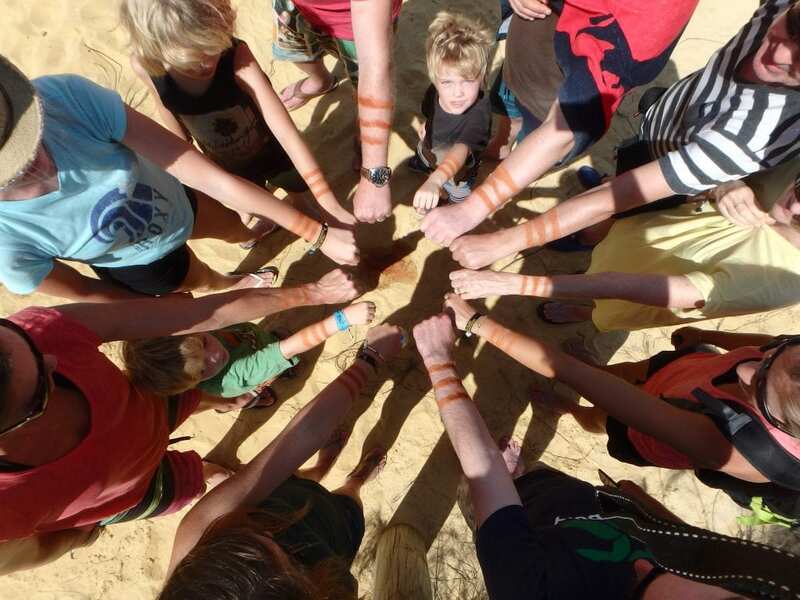 Working together to help educate Fraser Island’s many visitors. Over the years it has become apparent to us that many people are not as fortunate as our guests and are often looking for information about our beloved Dingoes so we started #FraserDingoWatch to help educate! Shopping local has always been very important to us so when we started our baby business we wanted to carry this through. So we set about to research where our food came from here in Queensland and how we could strike an effective balance in our business between our morals and our budget. Sadly like with most things it always comes down to the budget of what we can afford. Anyone who loves shopping at farmers/health food shops will know that the ‘luxury’ of sustainable and environmental consciously produced food comes with a higher price tag and for a traveller, that is often unaffordable. We had to decide what was most important to us in the short term and our loyalty to Aussie Farmers was the first thing that we wanted to make sure of so we designed our menu with this in mind; to make sure that it supported our country’s seasonal grown veggies and to buy it from a local business. We’re not a fan of supporting the supermarkets and their ridiculous markups/growing guidelines that they dictate to farmers all around the world! Whilst the ‘Made in China’ phenomenon is pretty unavoidable these days we do our best to source things locally or nationally where we can. We have found that managing our consumption of equipment the most challenging of all to balance. As we operate in an extremely harsh environment it was hard to find equipment that would last in these conditions. Being so close to the beach, both our hostel and wilderness camp are exposed to all the unforgiving weather elements that Mother Nature throws at us. Sadly some of the toughest materials such as steel can rust away in a matter of months and wood will rot within a couple of years so after many years of trails we have reached a happy medium. We don’t buy cheap ‘Made in China’, but we don’t buy crazy expensive boutique items so we can afford to replace equipment immediately when it breaks never compromising our guest’s tour experience. K’gari – Fraser Island is home to the purest water in the world and we take our responsibility to keep it this way very seriously after all…water is life. Here on the island, we like to make sure that the cleaning products we use don’t contain the harsh chemicals that can affect our water system. Our products are all eco-friendly and are safe to put down the system meaning it won’t affect the drinking water in years to come. This is the same for our shampoos, conditioners and body wash products that we offer to our guests on the island both at our hostel and wilderness camp. Reducing waste is an ever more increasing challenge for anyone especially when it comes to food waste. Food waste is one of our most challenging projects and is a continuous struggle behind the scenes at Drop Bear Adventures. Each item on our tour menu has been carefully selected to reduce waste as well as being made from a recyclable material which is achieved with 97% of the food products we supply. Our menu is designed to minimise waste but without our guests going hungry. We purchase large refills for things like salt, pepper and sauces to reduce the amount of packaging. We don’t use things like single use plates, cups, cutlery etc and we have completely banned plastic straws forever! We use re-usable items wherever possible and wash up plate after plate with love for K’gari in our hearts. We’re big on reusing items wherever possible! This comes naturally from the simple life of living on an island. We reuse items such as cans and jam jars for containers or craft, we compost our cardboard or use to start the campfire and we use large plastic bottles to make ice. Poppa Bear is also extremely handy and resourceful having grown up on the island and in the bush, which reduces our waste dramatically. We are always surprised at how he manages to fix things that seemed beyond repair even to some ‘professionals’. This has a huge impact on the camp equipment and hostel as these takes a huge amount of upkeep as a result of being so exposed to the elements. We’re extremely passionate about recycling and sadly neither Queensland Parks and Wildlife or Fraser Coast Council offer any recycling facilities for the waste generated by the half a million people that visit the island each year. We are now the only company that recycles 100% of all the recyclable waste we produce, even the soft plastics! This takes an extraordinary amount of effort from the entire team and comes at a great cost, yet it’s something we don’t think twice about. We hope to continue to work with the Fraser Coast Council to roll out a new waste management plan for the island and will continue to hold our governing bodies accountable when it comes to their commitment as managers of World Heritage Listed Fraser Island. 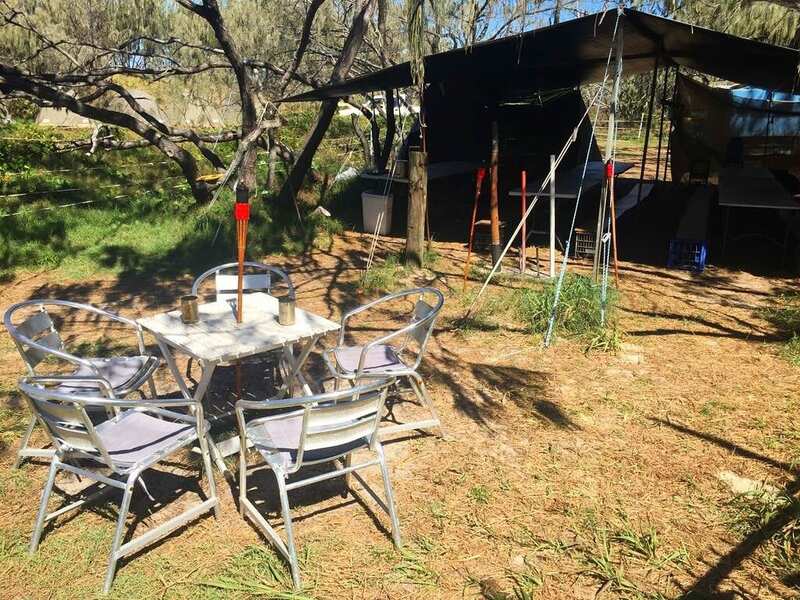 We’re proud to say that our two properties on K’gari run entirely off solar power, although we do have a backup generator for those occasional rainy days which only needs to be run for a few hours. We have a 48-volt battery system that charges up through our 24 solar panels. 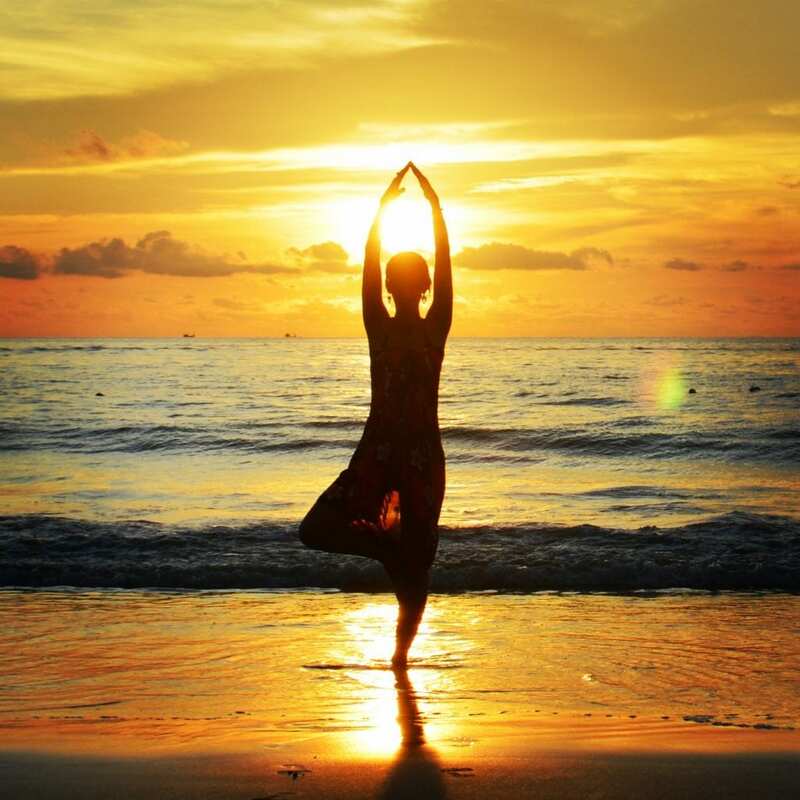 We also have three solar hot water systems that can supply hot water for 40% of our guests. Our Wilderness Camp runs off car batteries that we re-charge at the hostel through the solar panels.